1. Frequently, my Q7 set detects new time zone settings. And if that time keyboard is locked which it is most often, nothing works, you have to remove battery which is not easy; you may damage your phone. 2.Wifi receiver is poor. I am getting "Very Poor Signal" strength for WiFi networks which are easily accessible at high speed through other devices. 3.Few applications like FM and Music Player have controls which are not associated with any key and are inaccessible/unusable. 4.Customer care is silent on above problems. 5.Visibility of marks on keys is poor on silver colored model. Got this black Q7 yesterday for Rs 4850/- in Bangalore. 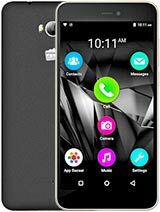 Overall, this is a good phone at a low price band offering dual sim, gprs, wifi with qwerty support. Configuring Wifi & GPRS was manual, but pretty straight forward. Was able to install a few sample java apps from the internet on the phone on the fly without any issues. Even upgraded Opera Mini from V4.2 to V5.1 and realised that the QWERTY keyboard does not work with it (works with the T9 functionality tho) & rolled back to v4.2 again. So, software management is pretty decent. Coming to comparisons: Do not expect this to be inline with the Nokia E series phones. They keypad is tacky, "." is to be accessed with sym key, menu & back buttons are nt witty, prompts for sim1/sim2 each time inspite of using the correct call button (for SIM1 or SIM2), etc. 1. General - software interface issue: when updating any text field in the browser in this phone, it does not let you key in the details directly into the URL address bar (for example). If you want to type www.gsmarena.com, you hv to select the www. text box. Press edit button, this throws up a select symbol option to which you need to scroll to. Select this "select sym"option and this pops up a white screen. press the menu button again & you can enter your URL & then press OK.. this takes you backto the white screen again where you need to press OK again. Now, it accepts the URL in the address listbox of Operamini. Now, press menu again to connect to this URL. Phew - Do you see how difficult it is? Ideally, once you are at the URL box, you should be able to type and press connect. 2. Still not being able to figure out how to select WLAN or GPRS for browsing in Opera4.2. By default it is using the GPRS connection which is on SIM2. Guess there should be some selection setting, but its not very evident. Have to figure out how this is configured. Ideally, when any application is connecting to the internet, it should pop up the list of internet options & allow the user to select OR let the user set the default. 3. 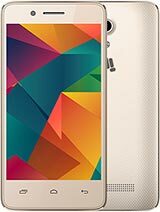 Other than Opera, I have installed Ebuddy (LG KE770 shine model is what is used by Nimbuzz here) and I have no clue of how to make it work with WLAN. Even this installed app is working via GPRS. Guess this is some setting which need to be figured out now. 4. Typical China mobile software. Only the startup screen has a Micromax logo. 5. Sound on the speakers is "loud" & not really of a great quality to speak about. Mentioning this because the website talks of yamaha powered audio here. 6. Voice volume on the speaker during the call is pretty low. Even at max volume, you may not be able to hear well esp when you are outdoors. 1. 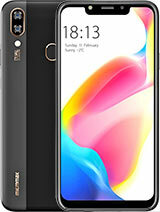 Good phone with packed features for the pricepoint it is available. 3. Ideal for people upgrading from a low end phone to a feature packed model. But for people moving from a quality branded phones(like Nokia or SE), this may not suit their taste around its voice quality, its build and its touch & feel. This is certainly a NO for people who have a higher end phone (like a Nokia E series for example) and want to explore this phone due to a dual SIM qwerty phone. Wish Nokia could release their E63 & E71 models with a dual sim versions so that it covers the expectation of business phone with two SIMs. pandiyan, 07 Jul 2010How to use WIFI in this mobile ? Can any one help me.... plsss.Press the Space/WiFi Button and hold. It will show available wireless networks. Click and enter password of that network to connect. Press Space/WiFi button again to disconnect and turn off the adapter. Didn't understand why they reduced the battery capacity from 1000 mAh to 800 mAh? 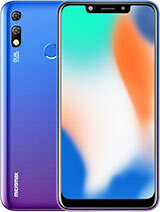 Nevertheless, I am eagerly waiting for a 3G version - Q9 adding a 5 mpx camera, with dual LED flash, video recording at 30 fps, 3G with a secondary front camera and a good 1500 mAh Li-Po battery - added to the existing features of Q7. Howz the voice qualitiy in Headset, HandsFree and in Mobile during calls, as well as Music PlayBack. How to use Opera Mini without wi fi ??? How about the net connectivity with Q7? Can we stay connected and can we configure our emial IDs? multiple email IDs? Opera Mini 5.1 is Working Fine with Vodafone GPRS. U can enter new url by edit in fullscren mode. 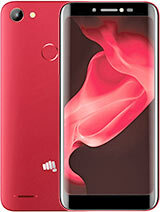 hey can anyone plz tell me how to fast forward audio songs in micromax q7?? ?